-For those already signed up for a dairy share, pick up your dairy share! -Everyone else, sample fresh local milk & yogurt products! Maybe even sign up for a dairy share… details below. Herb shares have ended for the season. Weekly dairy share pick up. Place your next à la carte order! Deadline is October 8th at 5pm, for delivery on October 18th. Read more here. Pick up your Lewis Waite orders today! Forgot to place an order? The next deadline is October 14th for delivery on October 18th. Our farm’s annual Harvest Festival will be held on Sunday, October 14th from 11am-3pm. CSA members, their families and invited guests are welcome! Read more and sign up online. 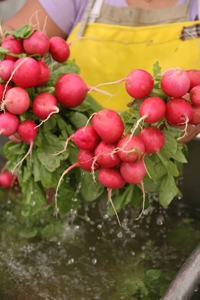 Signup for winter shares from Winter Sun Farms continues online. The total price is $137. Read more and sign up online. Weekly dairy share pick up AND à la carte specials pick up! Pick up your Lewis Waite orders today! Forgot to place an order? The next deadline is September 30th for delivery on October 4th. 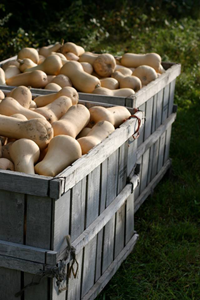 Our farm’s annual Harvest Festival will be held on Sunday, October 14th from 11am-3pm. CSA members, their families and invited guests are welcome! Read more and sign up online. 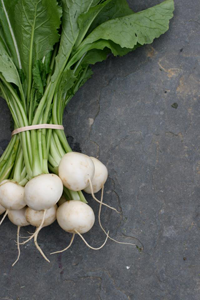 Signup for Winter Sun Farms’ winter shares continues online. The total price is $137. Read more and sign up online. Pick up your Lewis Waite extras today! Forgot to order? The next deadline is June 24th for delivery on the 28th. Here’s a great recipe for the lettuce we’re getting this week. I used Bionature’s whole wheat chiocciole pasta a few times in this recipe. (You can get it at the Met on 43rd Ave.) Using campanelle or medium shell pasta is key so it catches all of the little ingredients. 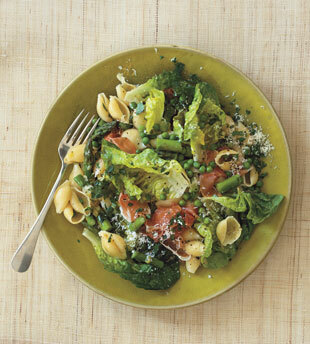 You don’t really need both the asparagus and the peas, though it is yummy with both. I often have frozen peas to chuck in everything but asparagus can be harder to come by. You can also use onion/garlic instead of shallots. It is a forgiving recipe. 1. Melt butter with 1 tablespoons oil in heavy large skillet over medium heat. Add onions and shallot. Sprinkle with coarse salt and pepper. Sauté until tender (do not brown), about 8 minutes. Add wine; increase heat to medium-high and simmer until liquid is reduced to glaze, about 3 minutes. Add broth and bring to simmer; set aside. 2. Cook asparagus in large pot of boiling salted water until just tender, 2 to 4 minutes, depending on thickness of asparagus. Using skimmer or slotted spoon, transfer to large bowl of ice water. Return water to boil. Add peas and cook until just tender, about 2 minutes. Using skimmer, transfer to bowl with asparagus. Drain vegetables. 3. Return water in pot to boil. Cook pasta until tender but still firm to bite, stirring occasionally. Drain, reserving 1 cup pasta cooking liquid. 4. Meanwhile, reheat onion mixture. Add lettuce and stir just until wilted, about 1 minute. Add drained asparagus and peas; stir until heated through. 5. Add pasta, 1 cup Parmesan cheese, and parsley to skillet with vegetables; toss, adding reserved pasta cooking liquid by 1/4 cupfuls if dry. Season with salt and pepper. 6. Transfer pasta to large shallow bowl. Sprinkle prosciutto over; drizzle with olive oil. Serve, passing more cheese alongside. 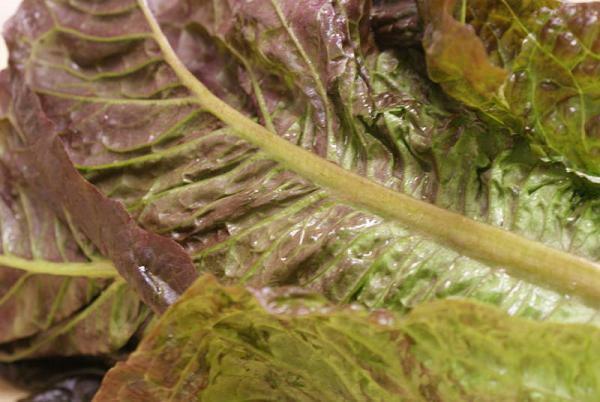 Modern lettuce had its start as a Mediterranean weed. 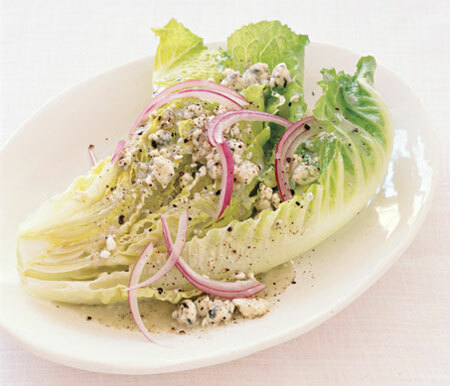 As early as 55 B.C., lettuce was served on the tables of Persian kings and praised for its medicinal values. The name comes from Latin words referring to its milky juice. 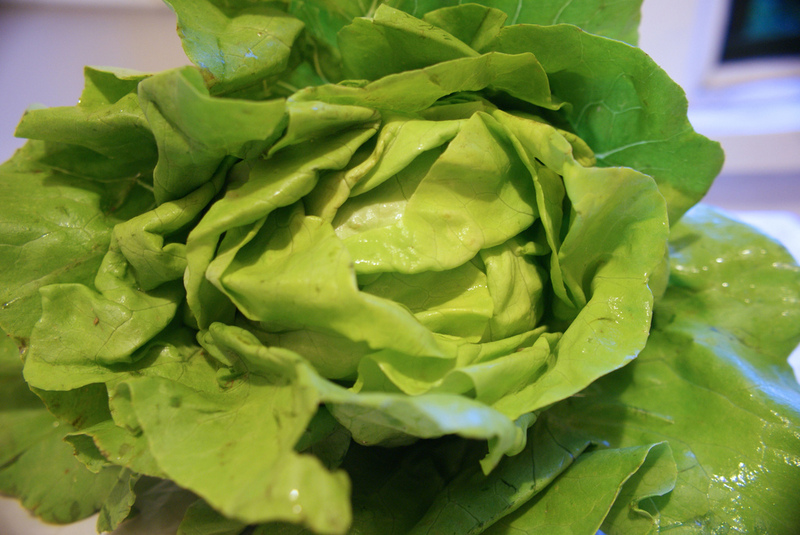 1 cup of shredded boston lettuce has only 7 calories, and 1 gram each of fiber, protein, and sugar. While it is low on calories it has 36% of our reccomended allowance of Vitamin A! It also has lots of Vitamin K and folate. Lettuce will perish quickly if not stored properly. Boston lettuce can be stored (unwashed) for 3 to 5 days in a perforated plastic bag (wrap in damp paper towels if you want to be fancy), inside your refrigerator. A little trick? Do not place your lettuce near fruits that release ethylene such as apples, pears or bananas to avoid premature ripening. Wash your lettuce in cold water and just before preparing it. Dry it immediately before leaves soften.